Anyone who has read John Shelby Spong – whose books I’ve always found very easy to put down, and almost impossible to pick back up again – will by now be familiar with his pretentious appeal to Bonhoeffer’s “non-religious Christianity.” His strategy, of course, is to position himself as the heir to Bonhoeffer’s legacy, the realization of his dream. But nothing could be further from the truth. Not only is it outrageous to pass off the bilious swill that Spong mass produces as being in the same league as Bonhoeffer, but Spong effectively destroys his own intellectual credibility by failing to recognize that he is implicated in Bonhoeffer’s critique of religion. Let me explain. An important touchstone in any consideration of Bonhoeffer’s attack on religion is his remarkable book, Discipleship, whose manuscript was completed exactly 70 years ago this week. Unlike Bonhoeffer’s earlier books, written effortlessly in the unmolested surroundings of the University of Berlin, Discipleship reflects a deep sense of urgency, as though it was demanded by the reality of an escalating crisis. There had been, in Bonhoeffer’s reckoning, a chronic malfunction in the church’s life which all but neutralized any effective witness it might have to the world. Somehow “grace” had ceased being the power which binds us to Christ, which elicits the repetition of the drama of death and resurrection in the lives of members of the church. It had instead been cheapened, and re-tooled so as to consecrate indiscriminately all the banality, idolatry and godlessness of culture. This instrumentalization lies at the heart of what Bonhoeffer calls the “religion-concept” (Religionsbegriff). 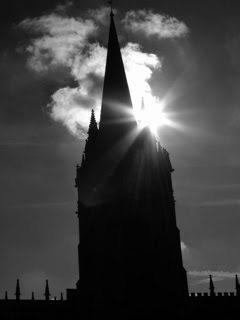 In so far as “religion” represents a mere expression of the human longing for transcendence and meaning, it can be employed by a culture as a pagan affirmation of the people’s inherent divinity. 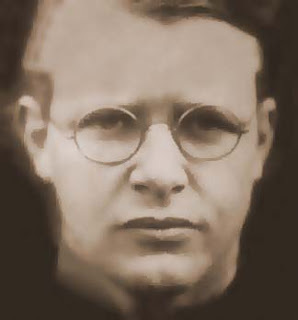 For Bonhoeffer, the shared category of “religion” was the means by which the church had been absorbed into the bloodstream of German culture, and thereby rendered complicit, impotent, idolatrous. While Spong famously predicted that “traditional faith is dying,” Bonhoeffer would have pronounced this brand of “new Christianity” dead on arrival, a carcass from which the breath of the Spirit and the pulse of Jesus’ mission have long since disappeared.